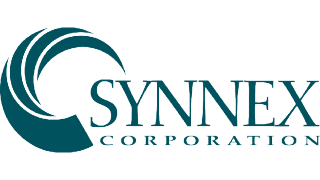 Synnex Corporation, a leading business process services company, announced today that its Fortune 500 ranking of the largest U.S. companies advanced eight positions to number 212. The Fortune 500 list ranks the largest private and public U.S. companies based on their prior year's annual revenue. Synnex reported $13.34 billion in revenue for its 2015 fiscal year, and celebrated a 15.8 percent year-over-year increase in net income. Synnex Corporation operates two business segments: Technology Solutions, a value-add provider of commercial and consumer technology products and services, and Concentrix, a business services company focused on customer experience, analytics, automation and process optimization. "Our new position as number 212 on the Fortune 500 list demonstrates Synnex’s ability to help our business partners achieve their goals by capturing the opportunities created from the constant evolution occurring in our industries," said Kevin Murai, president and chief executive officer, Synnex Corporation. "By investing in relevant high-growth and high-value capabilities and markets, we were able to increase our shareholder value and enhance our leadership position in the markets we serve. I am proud of the dedication and exemplary results our teams continue to deliver." Since its debut on the Fortune 500 list in 2007 at number 360, Synnex has moved up 148 spots to its current position at 212. Synnex’s five-year 2010-2015 compound annual growth rate for revenue was 9.1 percent.